THE BEST EXPERIENCE IN HIGH END AUDIO? Every so often a company and their products are unlike any others in their respective field. At Aluminos Audio, our products are conceived, engineered and manufactured because of the belief in what is possible. We believe that breakthrough products are only possible when the approach of creativity and relentless inquisitiveness are the basis for new product development. From the very beginning in 2011, we have taken the approach of raising the bar for statement level products. To succeed with bringing a product that surpasses all others in performance requires healthy doses of creativity and engineering prowess. Creativity and engineering quality are the two areas that allow Aluminous Audio to create and continue developing new and audibly superior products for the most demanding listeners in the world. Trade in your equipment as credit towards the GRAVITAS loudspeaker system. Contact us for details and let's get your system upgraded! 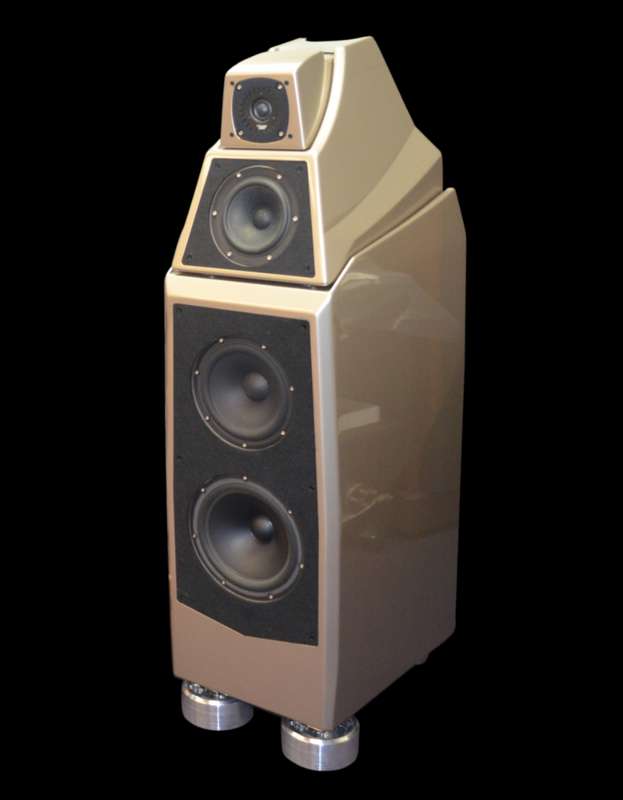 The GRAVITAS system is a world class full range mini monitor / subwoofer pair design. The system was designed to incorporate everything we have learned about the positive effects of TRUE ISOLATION as it applies to loudspeakers. Inquiries are welcome regarding producing a set of GRAVITAS loudspeakers for your listening room. Auditions are available by appointment at our company headquarters in Spokane Valley, WA. Call for an appointment anytime. WHY ISOLATION FEET UNDER EQUIPMENT ? Vibration is a primary culprit of distortion and poor sound quality in any component such as a turntable, DAC, preamplifier or amplifier. Some of the vibration is generated by the equipment itself, and some of the vibration is from the outside environment. Loudspeakers are a major contributor to outside vibration that negatively impacts a stereo system. Therefore, isolation of the loudspeakers is a key step towards less vibration and a much more natural, enjoyable sound from your stereo system. Our isolation feet, when used under source equipment, associated preamplifiers and amplifiers, and underneath loudspeakers, will give your system a balanced and clean sound that keeps you listening for hours on end with total immersion in the music. Anything that amplifies an electronic signal is negatively impacted by internal or externally generated vibration. 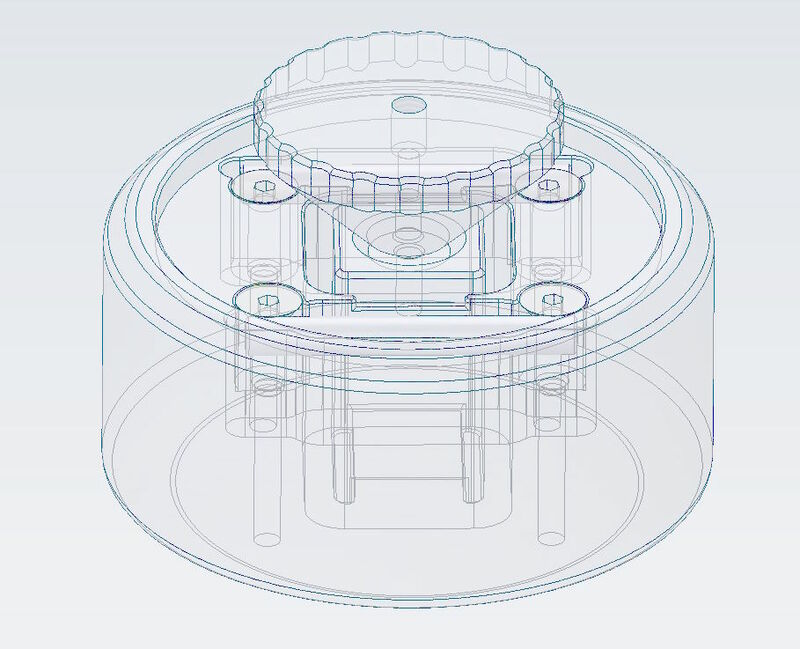 To dramatically reduce the negative impact of vibration on each piece of equipment, isolation with IVCM modules is the solution for much better sound quality. An explanation of the negative effects of vibration plaguing stereo systems can be explained in three sequential stages, along with why Isolation is necessary. Speaker vibration is the leading source of distortion in many listening rooms, It causes floor, wall and ceiling vibrations that lead to readily audible resonances, along with transferring vibration into cabling and audio components. Vibrating a cable produces a minute, yet audible signal that interferes with the original signal from the amplifier. 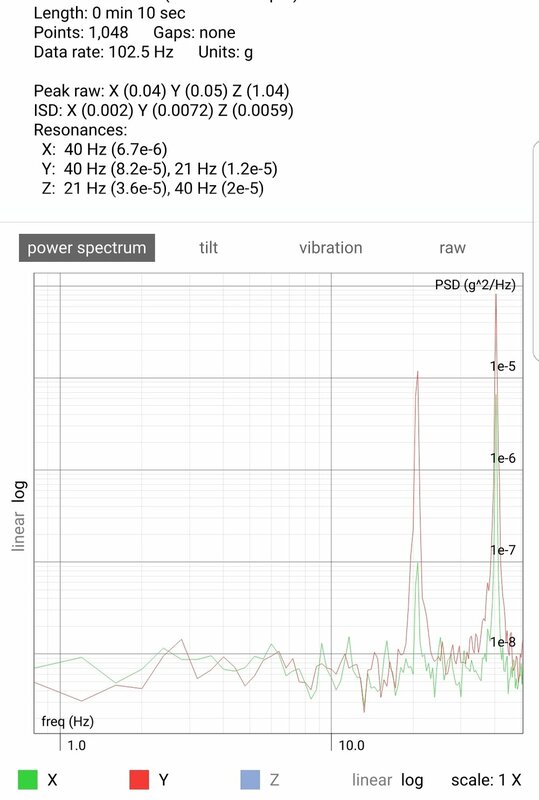 As you can begin to see (or better yet, hear) the effects of speaker vibration in a listening room are very bad when audio fidelity is the goal. Let us examine how a loudspeaker functions.. All types of loudspeakers convert electrical energy into physical energy that we hear and enjoy as soundwaves, The physical energy that is created at the loudspeaker is transferred into two physical mediums. One medium is into the air molecules that we enjoy as sound. The other physical medium is the loudspeaker's cabinet. As the physical energy is transferred into a speaker cabinet, some of the energy is dissipated in the cabinet itself. The remaining energy is transferred into the feet of the loudspeaker, and passed along into the floor in the form of vibration. Enter stage two. The floor absorbs the remaining energy from the loudspeaker, and causes the floor material to vibrate along with the speaker cabinet. The louder the speakers are playing, the more the floor has an audible sound that is similar to the sound of a muffled echo. In some cases, the floor vibration is felt through your listening chair and in your feet. The floor is somewhat "singing along" with the loudspeakers. At realistic, lifelike sound levels, the floor is resonating to the point it begins to transfer vibrational energy to nearby walls. The walls then transfer some of the energy to the ceiling...you get the picture. Audible distortion is a big problem at this point. Which leads to stage three. The floor, walls and ceiling are resonating. The floor has the worst of it, as the energy is pumped into the floor where the loudspeakers and subwoofers are placed. The equipment rack, cabling, or any device resting on the floor in close proximity to a loudspeaker or subwoofer is fighting a losing battle with vibration. Vibration in the floor is strong enough to be moderatly absorbed by the nearest device. The vibration interferes with the integrity of the source signal as it manifests itself as a slight feedback into wire. We are talking microvolts of feedback signal, but remember everything is being amplified to play the loudspeakers at 80db or greater. When a system is analog sourced, this negative effects of vibration are more severe due to the sensitive nature of cartridges, and the high level of gain required for a phonostage to produce. In both analog and digital sourced system, vibration induced feedback is audible. 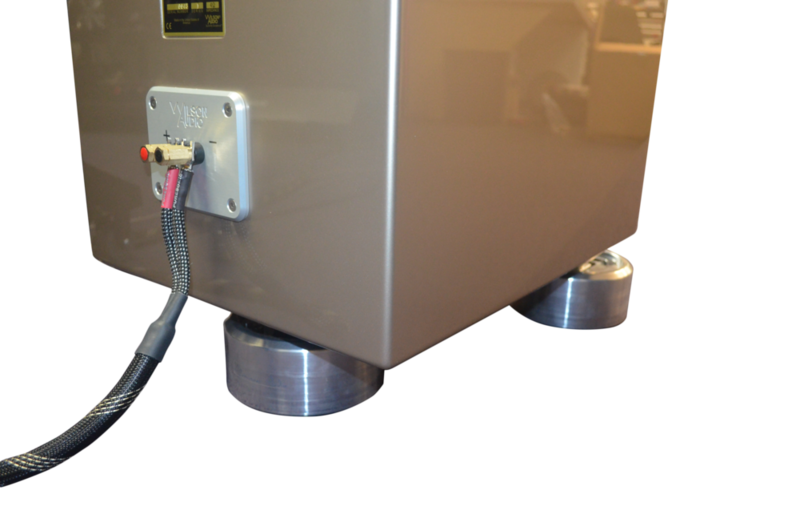 Installing IVCM modules greatly reduces the vibration and resulting feedback in a system as the floor remains dead quiet and free from vibration. The sonic yield is tremendous. The physical noise floor is lowered, which lowers the noise floor of the source signal that is not contaminated from vibrations throughout the system chain.. Everything sounds more defined yet more relaxed. HEAR YOUR SYSTEM AS IT SHOULD SOUND! 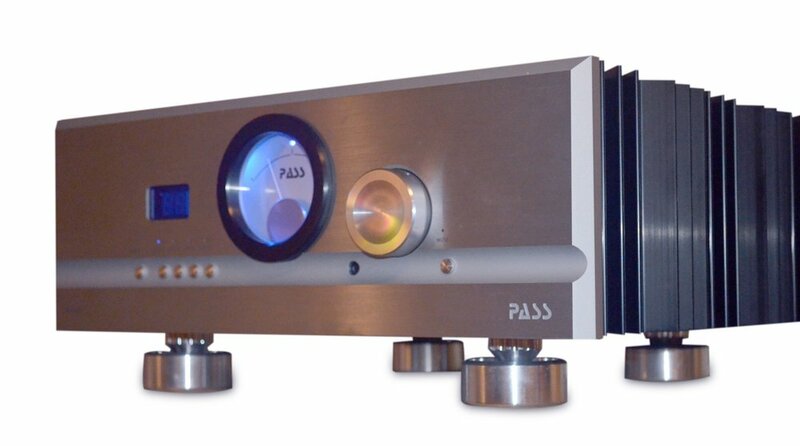 LEVEL ONE - Start by equipping loudspeakers and subwoofers. Much of the benefit from the IVCM modules is realized at this stage. LEVEL TWO - If your system uses a turntable source, equip the turntable directly with IVCM modules. If digital sourced, install IVCM modules on the DAC. LEVEL THREE - Install IVCM modules on the equipment rack. This provides isolation for the rack and each device within the rack. LEVEL FOUR - Install IVCM modules on the amplifier, preamplifier, and phonostage and power conditioner within the equipment rack. At this level full isolation of the entire system is achieved. A world class system is now in place. To visually show the engineering level of our IVCM Velvet isolation modules, a vibrometer shows in stunning detail the effectiveness of isolation with IVCM Velvet. On the left, a subwoofer playing a 20hz test tone at 42db, with no spikes or feet, simply resting on a carpeted floor on top of concrete. The vibrometer measurment was taken from the carpet, 4 inches in front of the subwoofer. On the right, the same subwoofer with IVCM Velvet Reference modules. Vibrometer measurement from exact same location on the floor, 4 inches in front of the subwoofer. See any difference? Big time. The 20hz and sympathetic vibration at 40hz is nearly eliminated. Also, a reduction in front to back vibration (Y Axis) below 1 hz is substantial. This is what real isolation can do for equipment and the most distortion free sound in your stereo system. *NOTE: Z axis not shown for visual clarity on the graph. Numerical measurment of Z axis shown at top of each chart. Even the Z axis (up and down) was radically better with the IVCM Velvet modules in place. Amazing! Velvet Reference under the Wilson Audio Alexia.